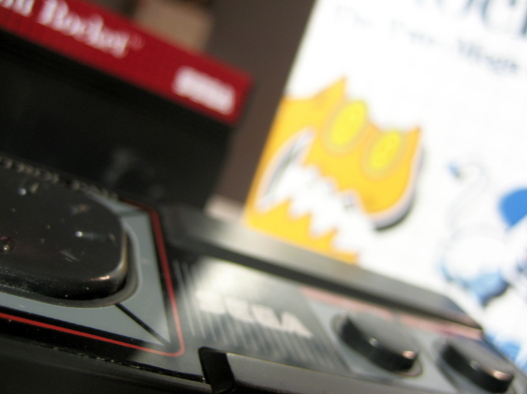 Did you know that the Sega Master System was supported in some countries (namely Brazil) as late as 1996, well into the Playstation era? 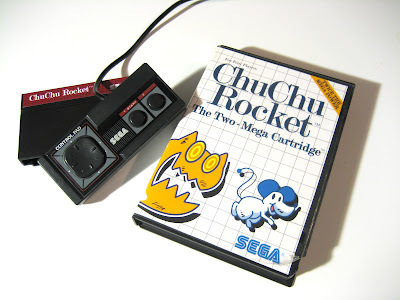 There was even a new Master System model released in 2009 known as the Master System Evolution. This version (and every version since 2006) have dispensed with cartridge slots entirely, running games from onboard system memory. Back in 2000, Sega got an idea for an unusual marketing stunt--port a few of the games from their still-new Dreamcast console to the old 8-bit fossil. The US version was never officially released, likely because the Master System was quite unpopular over here. 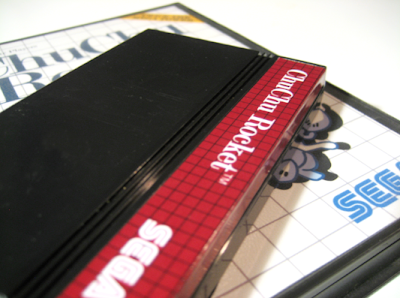 However, these product shots turned up from a former Sega employee sometime in 2011 and I'm proud to offer them here! That was a lie. I made these for fun. 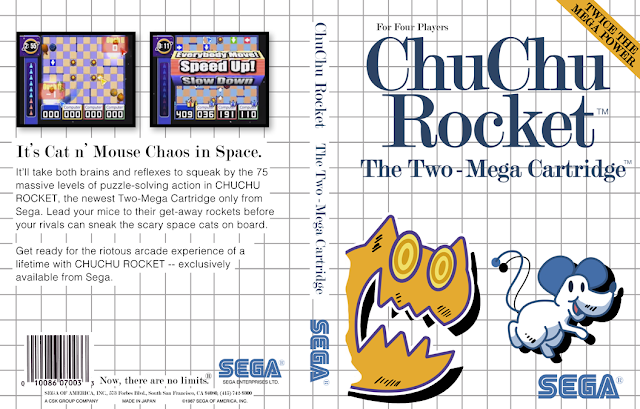 The notoriously awful Western Master System box art was surprisingly fun to replicate, and because of it's simplicity I think it turned out pretty convincing. I had the most fun riffing off the ridiculous clip art illustrations that turned so many kids off of the console back in the 80s. I was thrilled to see that the label came out exactly like the real ones!